The Crescent Foundation, a charity affiliated with Crescent Wealth, has made a couple of new additions to its board, including the appointment of a former Australian foreign minister and NSW premier as its new chairman. 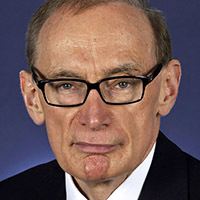 Bob Carr is taking on the role of chair, joining the foundation’s board with Dr Sayd Farook, current adviser to the executive office of UAE Rrime Minister Sheikh Mohammed Bin Rashid Al Maktoum. BUPA CEO Hisam El-Ansary is meanwhile stepping down from his role on the organisation’s board. Dr Farook added: “Australia is a strong multicultural country because the values and treasured items of different cultures have been respected and protected here.